The TV landscape may be changing, but bundling is not going anywhere, three top television executives agreed. 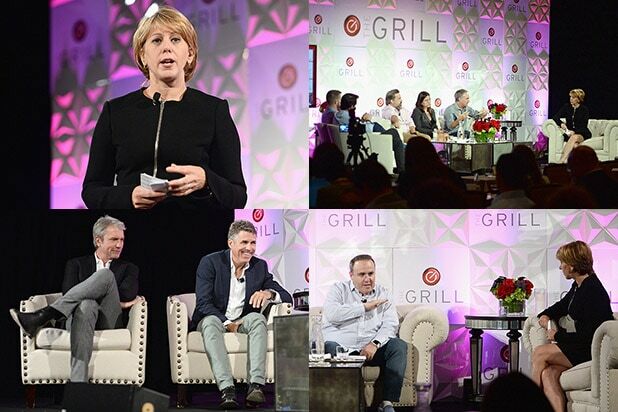 Appearing on a panel Tuesday at the 2016 edition of TheGrill, TheWrap’s annual entertainment and media conference at the Montage Beverly Hills, FX boss John Landgraf, BBC America president Sarah Barnett and Showtime CEO David Nevins discussed the changing landscape of their businesses and whether TV could be heading toward a purely a la carte model, wherein consumers buy channels and content individually rather than through cable-company bundles. Nevins was the first to disagree with that notion. Landgraf, who famously coined the term “Peak TV” about the overflowing amount of content available across TV platforms right now, also sees relative stability in terms of distribution models in the near future. He cited a mere two percent decline in big-bundle subscriptions year over year and the fact that the big-bundle model caters to the needs of families and larger groups of people. The panel also took a subtle dig at Netflix, especially Ted Sarandos’ revelation that the company would be spending $6 billion on content this year. Landgraf also disagreed with Netflix’s model of ordering projects straight to series, eschewing the traditional TV development process.